An older boat in need of some finishing touches The watermaker needs a new membrane. Most of the plumbing, electrical, paint and upholstery have been serviced and replaced over the past few years. Some of the fiberglass and wood are in need of repair work consistent with a 40-year-old boat. Stock #165830 Lots of renovations done! Must see! Newer Mercury 4 stroke Engine! 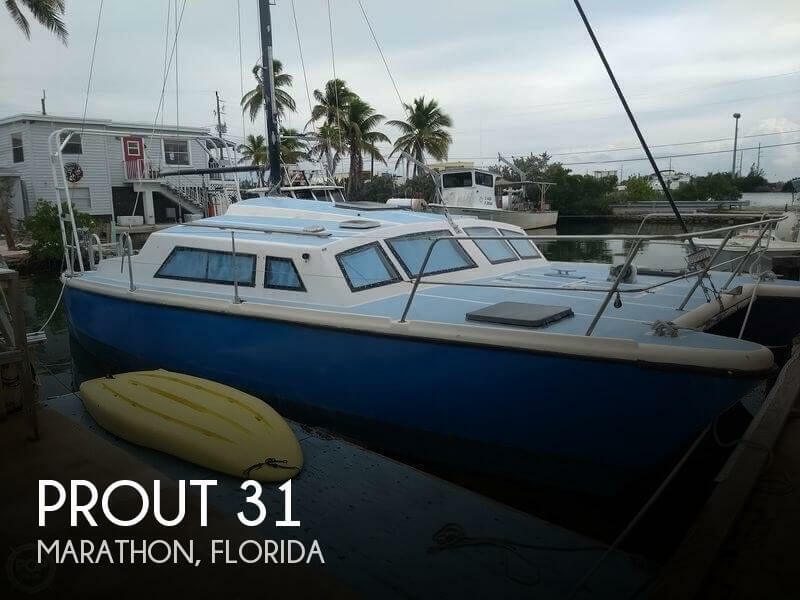 If you are in the market for a catamaran, look no further than this 1979 Prout Quest 31, just reduced to $29,900 (offers encouraged). 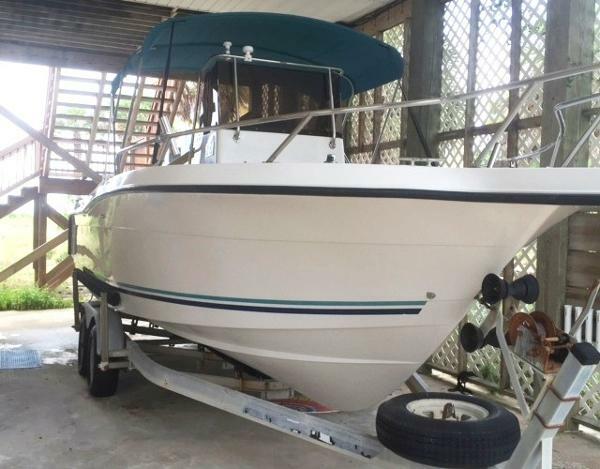 This sailboat is located in Marathon, Florida and is in need of some work. She is also equipped with a Mercury engine that has only 40 hours. Reason for selling is ready to sell!. 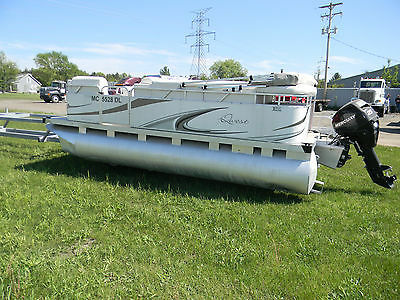 2017 Quest 822 This is a brand new 2017 Qwest 22 ft. Pontoon boat. It's ready for the Yamaha of your choice. 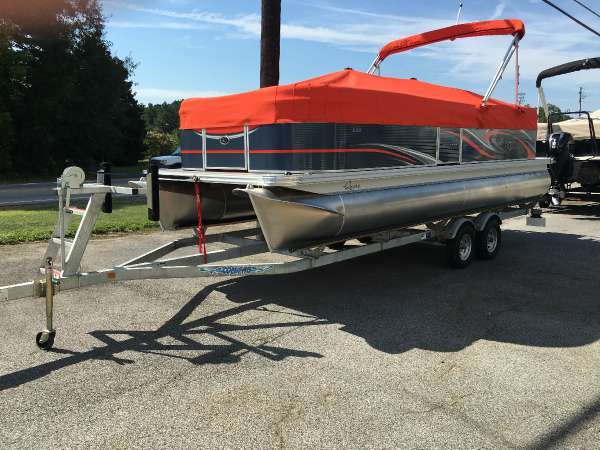 Stereo, Fish/depth-finder, upgraded captains chairs, Infinity Stereo with extra speaker, full cover, table (not shown) Weave flooring, Ski tow bar. Just add water!! 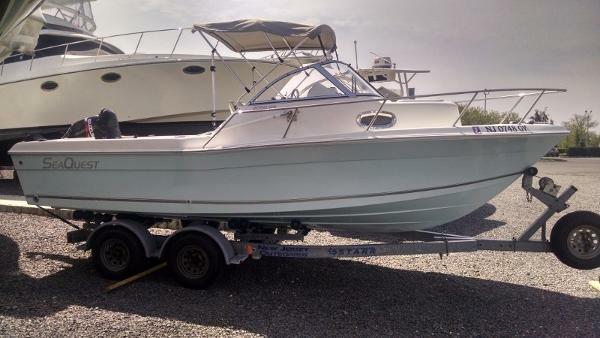 - GET A 2017 BOAT FOR THE PRICE OF A 2016!! 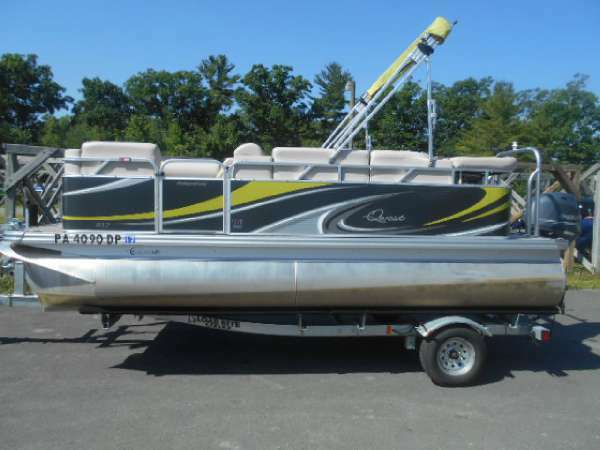 1997 Quest 30 Quantum Leap is a fantastic pocket racing boat. 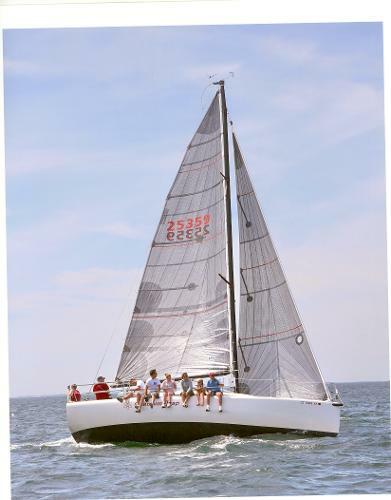 Designed by Rodger Martin and built by Barrett Holby, the Quest 30 does very well in a wide variety of classes and is particularly popular for short handed crews, single, and double handed racing. 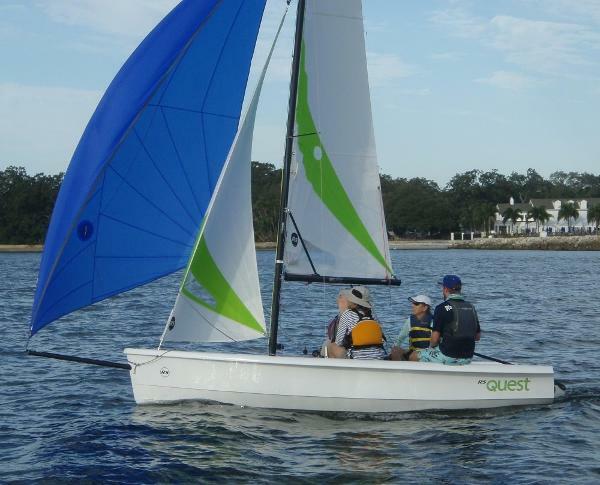 This boat excels with a carbon mast and very nice inventory of Quantum sails. 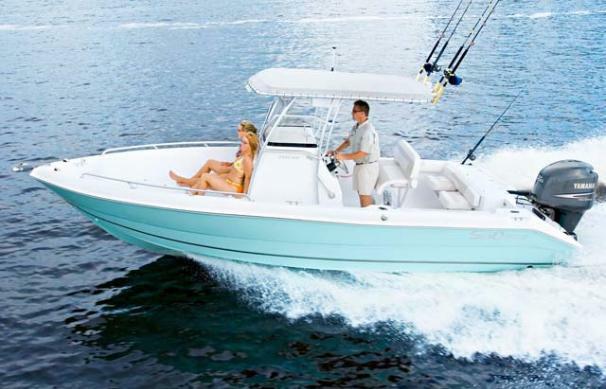 All new Raymarine electronics were added in 2011. 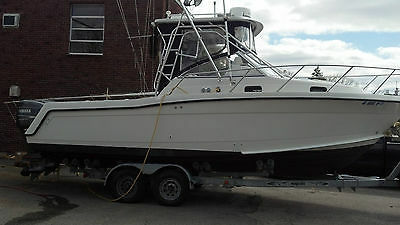 Great family fishing, safe ocean cruising boat in good condition for its age, full 6' headroom in cabin sleeping 3 adults, removeable dinette table, galley with running water, sink, alcohol 1 burner stove, drawer and cabinet space, hanging locker, icebox, porta potty in separate compartment, cushions next to new in good condition. Large cockpit with live wells and washdown capability possibility, two folding upholstered deck chairs in addition to upholstered seats at the helm. No rips. Smooth running i/o motor with upper and lower units rebuilt this spring, engine tuneup and carburetor checkup done prior to July launch. Two newer heavy duty marine batteries, two bilge pumps in good condition, wiring checked and updated as needed. Teak trim inside and out and swim platform beautifully maintained. Full canvas, bimini and cover. AM/fm cd. player, Humminbird fish finder, Orion emergency alert,,6 life jackets, life ring. No expense spared on maintenance by Four Winns Dealer. 2001 double axle Long trailer with surge brakes and power winch, easy on and off. Trailer serviced this spring. A lot of boat for not much money. Boat in water at our mooring and is being used. Can be picked up locally. Shipment the responsibility of buyer. No known defects, but sold in "as is" condition. I purchased this pontoon three years ago with very minor storm damage. I fixed it 100% and have been using it personally for the past 3 years. I had to buy a new mooring cover for it and a side panel which were purchased from dealer. 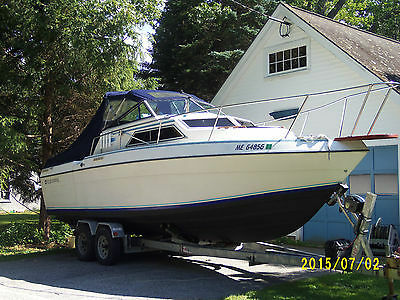 When I purchased the boat it did not have an engine so I bought the 2008 Mercury 25HP. Everything works great on the boat, 100%. Very clean and always has been stored inside. I just purchased a newer pontoon so I have no use for this one anymore. If you have any questions please feel free to call Greg 231-670-9249 Monday-Friday 8am-8pm. 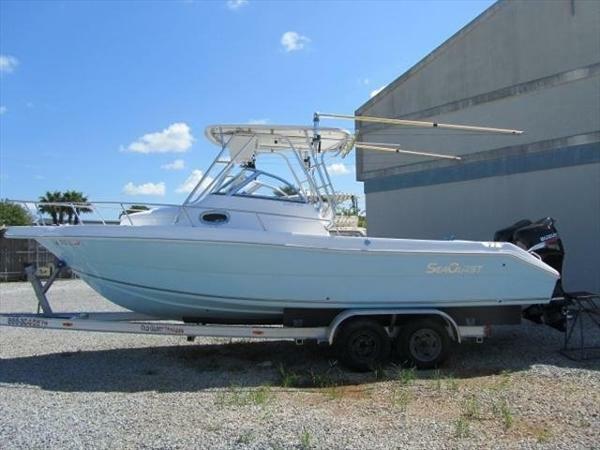 2007 Sea Quest 2550 This 2007 Sea Quest 2550 is ready to go fishing! 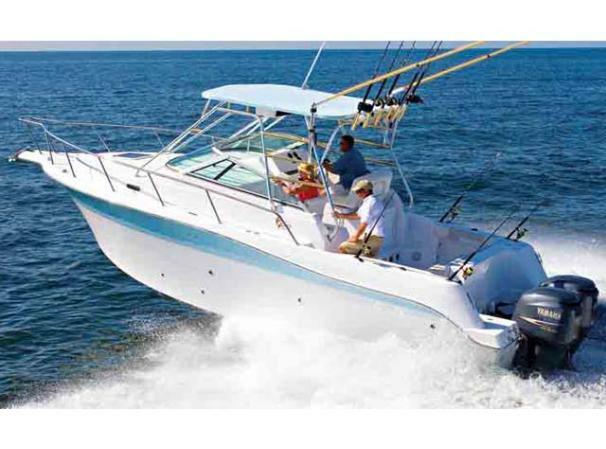 It has a Garmin 740 GPS and Fish Finder that is extremely intuitive to operate. This navigational aid and twin Suzuki 140 four stroke engines can you out to the rigs, to mid shore fishing spots or near shore public spots with relative ease. Large fish boxes and live well make this package a fishing dream. Add in the outriggers for an increased trolling spread and your tuna ready! The cuddy cabin makes it ideal when you need to get out of the weather or spend a relaxing evening on one of the many local islands. Priced to sell! 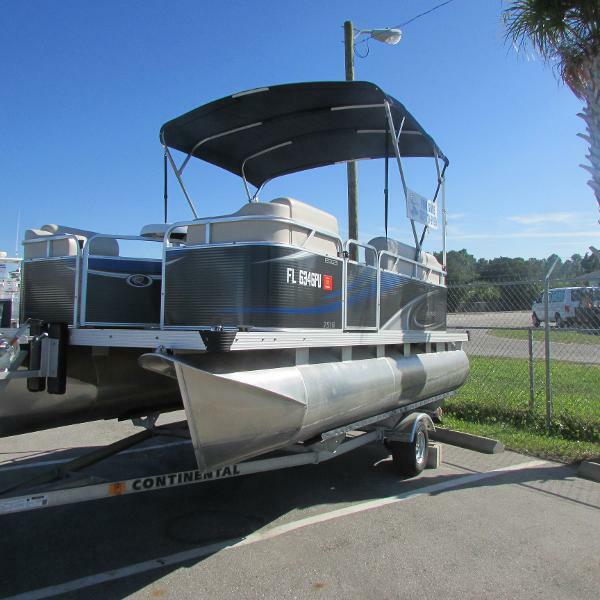 2006 Sea Quest 3000 Sport Fish Newly Listed. Specs & Pictures Coming Soon!